The PS4 has narrowly beaten the Xbox One's sales for the month of November in North America, according to market research firm NPD. Sony's new console, which went on sale on November 15, sold 2.1 million units in its first month, while the Xbox One sold 2 million. A true photo finish. 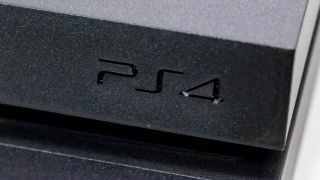 Sony SCEA President and CEO, Jack Tretton, says: "Demand continues to overwhelm supply, but we're working hard to get PS4 units into the hands of customers throughout the holiday season." However, the Xbox One was released a week later, and has won the title of "fastest selling console in November." It has shipped an impressive 101k units each day since launch and turned out to be Microsoft's most successful launch ever. Both consoles shipped around 1 million day-one units. The Wii U, however, is not fairing so well. Nintendo hasn't put out official sales figures, other than saying that sales were up 340% in October, with some reports saying that figure equates to 220,000 units shipped.